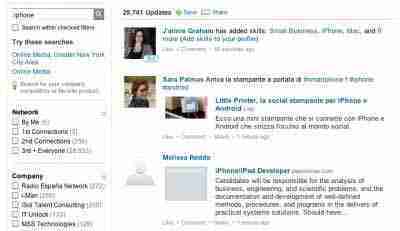 LinkedIn Today is a daily digest of news and links people are sharing on LinkedIn to stay top of mind. You can browse popular articles by topic or check the home page for the top news overall. The vertical is fully customizable, so the topics you care about most will always be at the top. You can access LinkedIn Today from the “News” tab at the top of your LinkedIn home page. Want to know who’s talking about your favorite topics? Switch the search bar at the top right of your screen to “Updates” to find out. This is a great way to build new connections and find out what people in your industry are sharing. You can narrow your search by region, career, etc. by using the check boxes in the left column. Google seems to favor LinkedIn for people searches. With that in mind, make sure your profile is as complete and clean as possible. It’s likely potential employers will be Googling you, so if you haven’t spruced up your profile in awhile, now’s a good time to do it. Employers use LinkedIn all the time to search for new job candidates. Who knows what you’re missing out on if your profile doesn’t have your complete work experience, skills, education, etc. The last thing you’d want to show off is just your most recent position and nothing else. The more you have in your profile, the more people can learn about what you can do. * What if you need to hire someone? LinkedIn is a good place to start. Check out the corporate recruiting page to learn how you can find the best talent out there. LinkedIn gives you the option to automatically send all your tweets to your LinkedIn status. You can add your Twitter account under Settings > Profile > Manage Your Twitter Settings. You also have the option to only send tweets to LinkedIn that have the hashtag #li or #in. (We recommend using that tool if you tweet a lot). 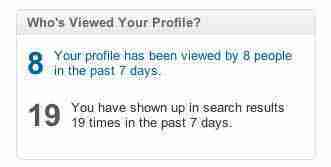 For free users, you can only see who has looked at your profile over the last few days. Paid LinkedIn users can see everyone who has ever looked at their LinkedIn profile. You can get all this information from the right side of LinkedIn’s home page after you log in. 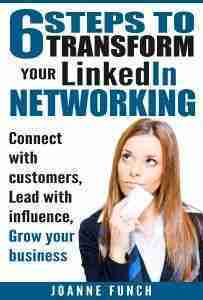 Click here for your copy of your LinkedIn For Business Advanced Workbook and more details. Check back later for additions to our list of “A Few Lesser Known Tips About Using LI”.